Once again Nonnie Jules tells the TRUTH in her blog! Is it reputable or is it dishonorable? Well, so that you have a clear understanding of what a reputation is, let me give you a little refresher on the word. The estimation in which a person or thing is held, especially by the community or the general public; the way in which people think of someone or something. As an author, regardless of what others think or how I am perceived, my reputation is of extreme importance to me. I have worked hard to build my name and standing in the literary community, therefore, I guard it, and the perception of it, with great care. Because we interact with our peers and our “communities” without the comfort of solidarity, yet, in an anonymous world behind keyboards, there are those that feel these situations offer them a green light to behave poorly and recklessly. All of these amazing books are just 99 Cents – Head over & get your copy today. Click on Book Title or Book Cover to buy your copy. And where authors lead, many bloggers shall follow! My guilty secret? I don’t proof my email. I will give email messages the attention they are due! This is my motto, in ALL of my writing, whether it’s a full-blown book or just a teeny-weeny email…I would like to be known for my writing and my dedication to the excellence in the craft of writing, in everything I share in written form. As a writer, everything that you put out should be your best, so today, I’m going to share a few tips on how to write the perfect email. Hopefully, it will give everyone pause and then I’ll start to receive some works of art in written form in my email box. Oh how I remember dressing up and invading the theater with all my friends. Those days . . . Those memories! 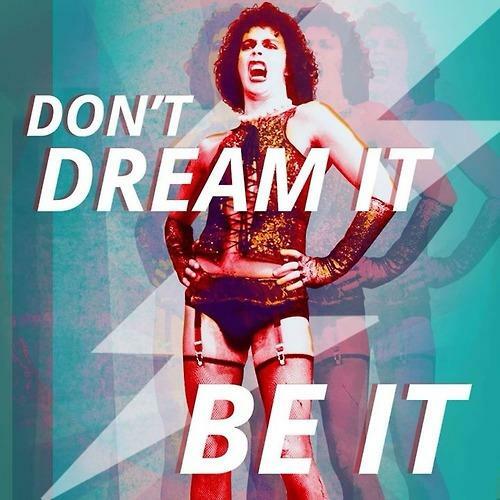 The Rocky Horror Picture Show turns 40 this year. I’m not sure if this is old or young, because it’s always been an old movie for me. Even though I’ve seen it hundreds (literally) of times, it’s always seemed like something from the past, brought into the present for lonely souls like me. It was a holy relic, and we were the cult that formed around it.